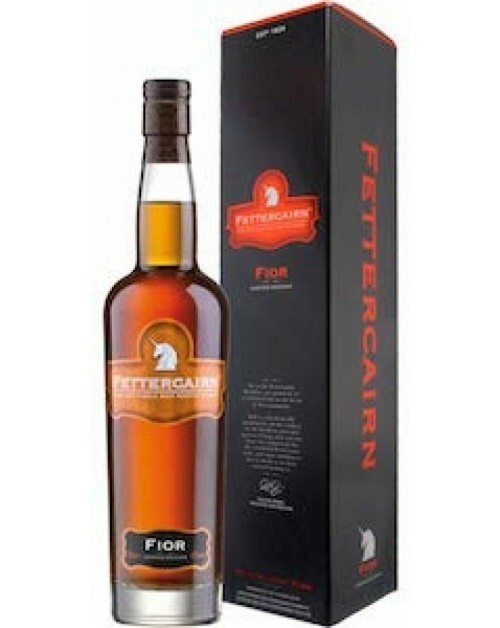 Fettercairn Fior Single Malt Whisky - the name (Fior) means pure or true in Gaelic. This no age statement bottling contains 15 percent heavily peated whisky, matured in first-fill ex-bourbon barrels, along with a proportion of 14 and 15 year old spirit. The result is a bold and complex whisky; a handsome, smartly packaged Fettercairn. Nose: Sherry, toffee, oranges and a whiff of smoke. Palate: Smoke, brittle toffee, spices and oak. Finish: Long, with a liquorice note.